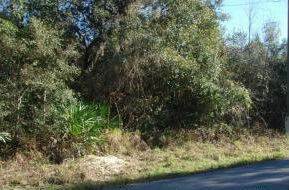 "Almost 1/2 Acre Lot with Scattered Oaks"
**ALMOST 1/2 AN ACRE** NO HOA OR CDD FEES! ONLY MINUTES FROM FISHING, HUNTING, SHOPPING, & ENTERTAINMENT. DRIVE BY AND CHECK IT OUT.